The Foundation for Accountability and Civic Trust (FACT) has released its list of Worst Ethics Violators of 2018, which includes 2020 presidential hopefuls Sens. 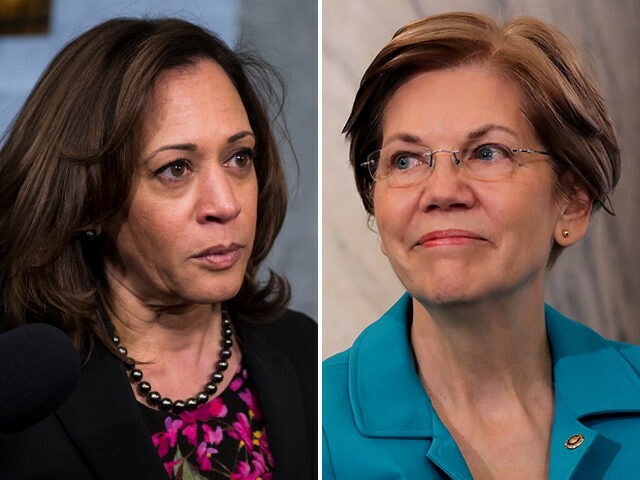 Kamala Harris (D-CA) and Elizabeth Warren (D-MA). Both Harris and Warren used their opposition of Brett Kavanaugh’s appointment to the Supreme Court as an opportunity to fundraise, according to FACT. The two Democratic Senators sent out emails claiming that the donation played a vital role in battling his confirmation. Shortly thereafter, FACT filed an ethics complaint against both senators. Warren was caught off guard during a televised debate when her opponent mentioned that she was under investigation for an ethics complaint. At the time of the debate, Warren claimed she did not know about the invesitgation into the complaint. Senators must conduct themselves according to the Senate Ethics rules. Under the Senate Ethics Manual’s Scope of The Authority, the Senate ‘may discipline a Member for any misconduct, including conduct or activity which does not directly relate to official duties, when such conduct unfavorably reflects on the institution as a whole.’ A Senator who solicits campaign contributions related to official action certainly casts an unfavorable reflection on the Senate. In addition, the use of official action for political fundraising is directly related to official duties. Senate Ethics Rules prohibit Senators from solicitating campaign contributions based upon any action taken in their official capacity. By linking a promise of official action with campaign contributions, a Senator violates a ‘basic principle’ of Senate Ethics that guards against conflicts of interest. The Senate Ethics Manual is clear that a Senator “should never use the prestige or influence of a position in the Senate for personal gain. This provision was intended ‘as a broad prohibition against members, officers or employees deriving financial benefit, directly or indirectly, from the use of their official position.’” Moreover, Senators are to act based upon merit, not on partisan affiliation or for campaign contributions.